Indian shot-putter Manpreet Kaur, on 12 August, became the latest addition to the ever-growing list of country's athletes who failed to make a mark at the coveted Rio Olympics. The 26-year-old failed to past the women's shot-put qualifying round after finishing at a disappointing 23rd position in the competition. The qualifying mark for the 18 shot putters in Group B was to achieve a throw of 18.40 metres or at least the 12 best performers advanced to the final round. But, the Patiala-born athlete could only manage 16.68m in her first attempt, 17.06m in her second attempt and 16.76m in her third. Manpreet had qualified for the marque event with a throw of 17.96 m at the National Open Athletics Championships at the Sports Authority of India, East Centre in Kolkata. In the process, she became only the second woman from Punjab to qualify for the Olympics after Khushbir Kaur - who'll also represent India in the Women's 20 km walk event in Rio. 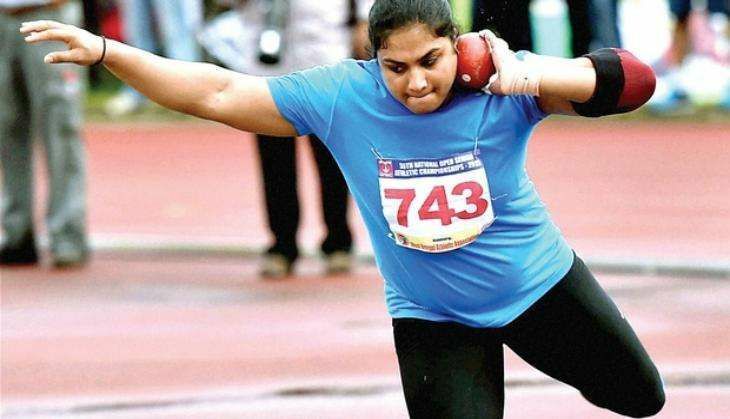 She shattered an 18-year-old national record en route to a sixth title at the 55th National Open Athletics Championship. The IAAF entry standard for 2016 Rio Olympics in women's shot put is 17.80m, while the top three in London 2012 threw 20m plus.